The cyclocross season is in full swing and North America’s professional cyclocross circuit kicked-off in Seattle two weeks ago with the return of Star Crossed. 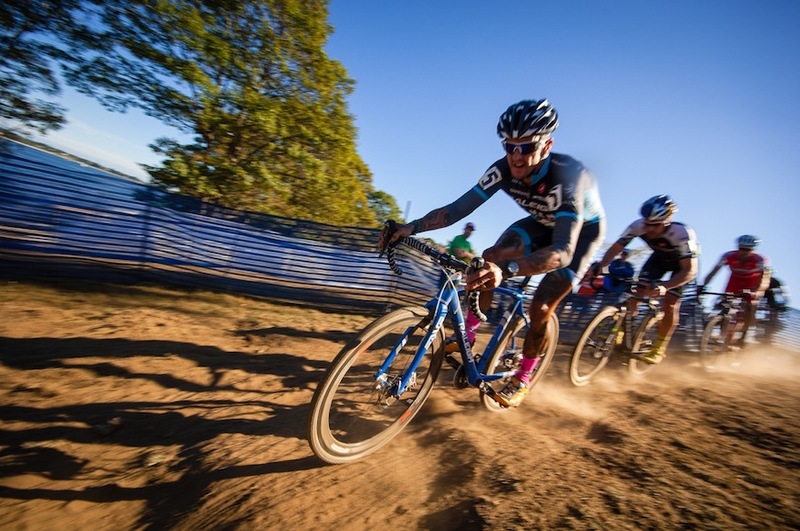 Founded in 2002, it’s the nation’s first twilight cyclocross race. Belgian Ben Berden, the oldest and most decorated member of the squad, got the season underway with a third place finish, despite a trip over the handlebars thanks to aggressive racing by his rivals. The chop move that sent Berden flying was a bit controversial, but he shrugged it off and stormed to a fantastic comeback. Newest Raleigh-Clement team member Jamey Driscoll showed his reliability finishing in sixth, followed by Allen Krughoff in seventh. Fan favorite Caroline Mani was seventh in the woman’s race. The team then hit sin city for the spectacle of Cross Vegas. Bigger and better than ever, the race featured world champion Sven Nys along with the most daunting field of the season. Raleigh contributed to the glitz this year by sponsoring the construction of a wall-ride, which sent riders horizontally through a Daytona-style turn. Raleigh-Clement’s Craig Etheridge took the win in the singlespeed event, putting to rest any worries that his popular video blog has cut into his preparations. Berden could not match last year’s third, but his ninth place was well earned in a stacked international peloton. The rest of the team all notched top-20 results, including Mani’s 12th in the women’s race. 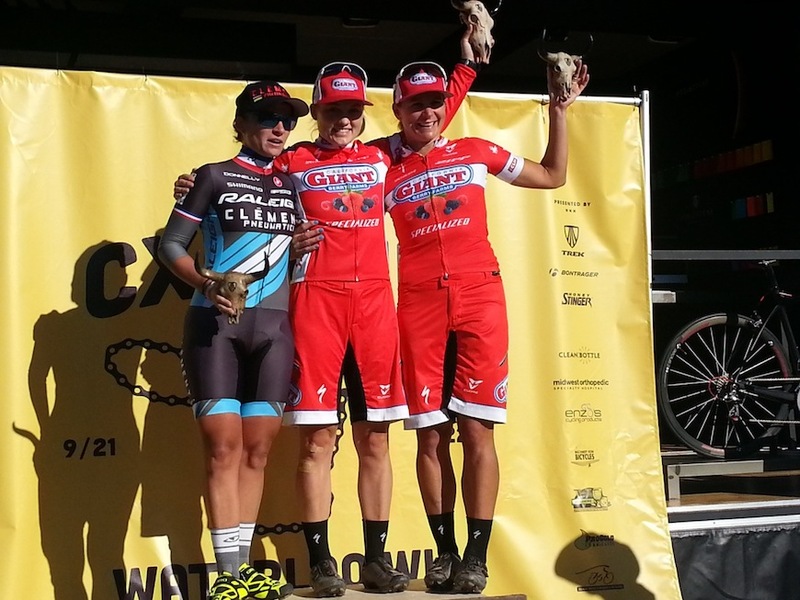 Three days later, the team toed the line again for two days of UCI racing, this time in Waterloo, Wisconsin. On a high-speed course that rewarded strategy and a powerful sprint, Mani took a pair of third places. In the men’s races, Berden also took third and notched fourth place on day two. Driscoll churned his way to sixth and seventh. Krughoff earned a gold star for his 10th place (and valuable UCI points) after riding through the field from last position, following a slipped chain at the gun. He bettered it with ninth on day two. 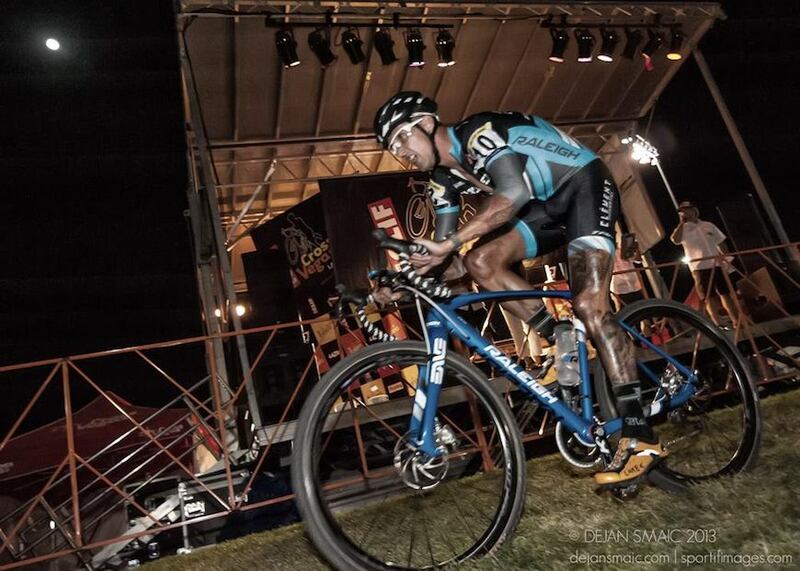 Not to be outdone, Etheridge stole two more wins in the singlespeed races, and is proving once again to be an anchor for the squad. 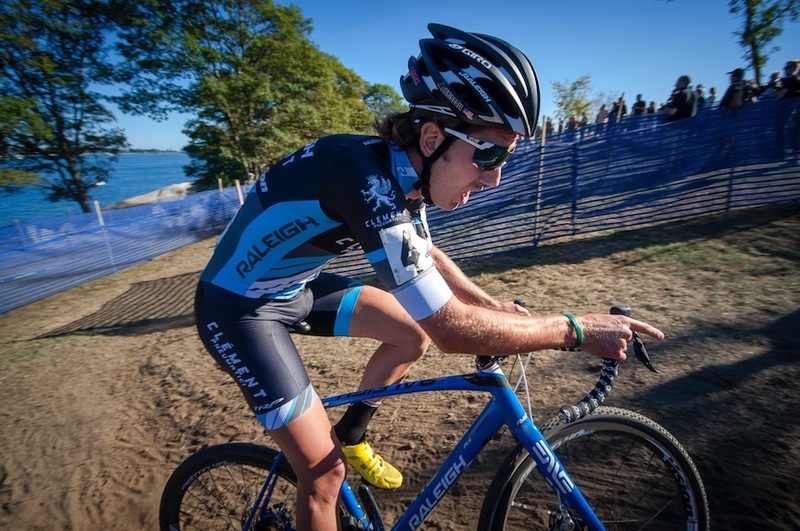 The Raleigh-Clement Cyclocross Team then headed to the legendary seaport of Gloucester, Massachusetts for this weekend’s Gran Prix of Gloucester. 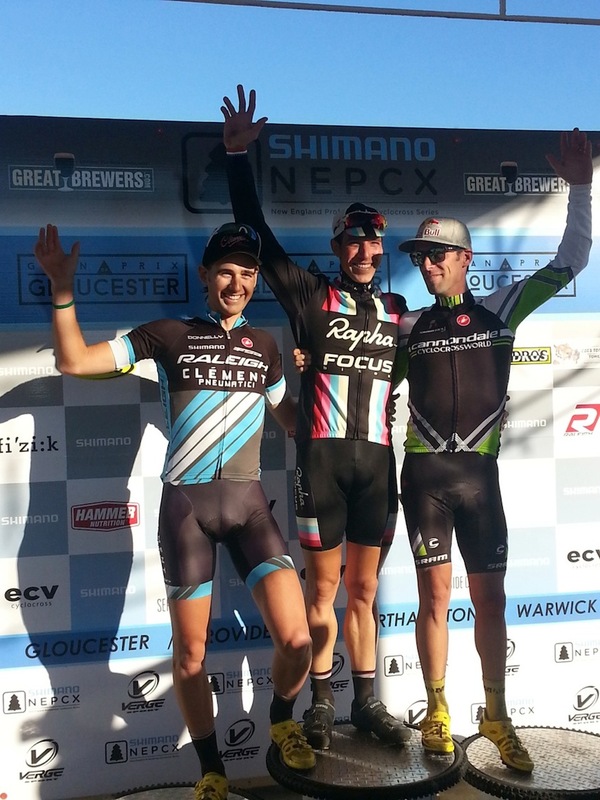 Dubbed the “New England Worlds” because of its long history in the region, the Gloucester event is a major highlight of the opening month of cyclocross. The course was bone dry this year, creating a very fast and tactical race. Mani gritted out a well-earned sixth place on day one, just 49 seconds behind winner Elle Anderson. Mani, who was fighting a cold, would be forced to sit out the race on day two to recover and prepare for next weekend. Driscoll threw himself into the first race, attacking multiple times and working with Berden to break apart the race. Driscoll rode clear for several laps, but was eventually dragged back into the fold. He hung on to finish in third place for the day, one place ahead of Berden, who has been consistently strong all season. The two were clearly the most aggressive riders on course, but in the end, victory went to strongman Jeremy Powers with Tim Johnson in second. On day two, conditions remained dry and fast. It was a dramatically different race than last year, with racers churning up a thick dust, instead of the mud. With Mani sitting out, the men’s team set about demonstrating why Raleigh-Clement is one of the most animated squads. Again, Berden and Driscoll rode strongly in the lead group, but Driscoll didn’t have the speedy legs from day one. He would eventually slip behind the leaders, but still finished in an impressive seventh place. Berden powered on in typical fashion and again finished fourth, a very successful day at the office for the Belgian. Krughoff improved to 12th place, battling the huge clouds of dust. Now in its second season, the Raleigh-Clement Cyclocross Team rides the Raleigh RXC Pro, an innovative full carbon frame featuring disc brakes. They roll on innovative tires from Clement, drivetrains by Shimano, brakes by TRP with FSA provided components. The Wheels are from Vision, clothing by Castelli, helmets by Giro, and K-edge provides its essential chain watchers.